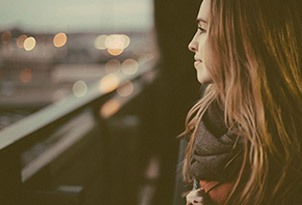 The services a survivor of domestic violence, dating abuse or sexual assault needs in ONE place—counseling, protection, legal and immigration assistance, children’s services, and more. You are not alone. 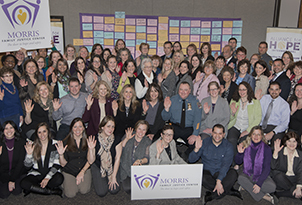 Morris County agencies serving survivors of violence partner together under one roof to better assist those in need. Walk through the welcoming door of the Morris Family Justice Center to find the services you need to become safe and secure—for yourself, for your family. Easy access to information (fact sheets, brochures, articles, websites and more) to help you get your life back is just a click away. Every day, victims of domestic violence, dating abuse and sexual assault, along with their children, are forced to navigate complex systems to receive critical services while gripped by fear and heartbreak. They need agencies to work together during the crisis and long after the crisis. For many victims, the journey of receiving services proves to be too difficult as they become burdened with going from place to place. In the process, many lose hope and return to their abusive situations. The MFJC offers the door to hope and safety for survivors and their families. 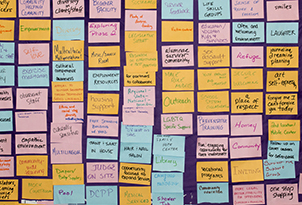 Inside this one door, survivors are empowered to choose which services they need. The partner agencies work together to provide comprehensive, coordinated services to protect and restore their lives as well as those of their family. "The people at the Morris Family Justice Center will make you feel safe and welcomed. When you feel safe, it’s okay to let go and accept help. Here, you can begin to heal and move on with your life." "It gives me a tremendous sense of pride to think of how many Morris County families will be helped by this necessary service." "I stayed in an abusive relationship for a long time because I didn’t have the strength to leave on my own. Before the Family Justice Center opened, I had to go to so many places for help. During that process, it just gave my partner the time to manipulate me into staying longer. Having all the support and resources in one place would have definitely helped me to get free sooner." "In our 40 years, JBWS has evolved into a full service domestic violence agency and leading the opening of a Family Justice Center is the next logical step in improving services." "Unfortunately, victims of domestic violence have frequently suffered their abuse in silence with the fear of being alone or that no one would believe their complaints. The Morris Family Justice Center will offer these survivors and their children a pathway out of the darkness. It will undoubtedly aid in the prosecution of offenders to hopefully end the cycle of abuse." "The new center will encourage domestic crime victims to come forward and seek needed help before situations spiral out of control, leading to more serious assaults and even homicides." Marcy McMann, Morristown-based attorney and chairwoman of the Morris County Domestic Violence Working Group. "The Family Justice Center will stand as a beacon of hope for the victims of domestic violence for years to come."